Cozy Chicks: What do I do about the tree? What do I do about the tree? After my mother passed away last spring, my very good friends Ellery Adams and Leann Sweeney (former Cozy Chicks) sent me a small magnolia tree in memory of my mother, so that every spring I would find comfort in the pretty blossoms. But there's also another tree I'm concerned about. A couple of years ago, my mother noticed a small pine "twig" in one of the containers on her back patio where she planted annuals. She figured a squirrel had buried a pine cone in it, which isn't surprising considering squirrels live in the BIG pine tree in her front yard, and every spring they devour the middle of the pine cones (and mostly eating them on the roof and plugging the front down spout with their leftovers. Ahh, nature). My Mum decided to nurture the little twig. 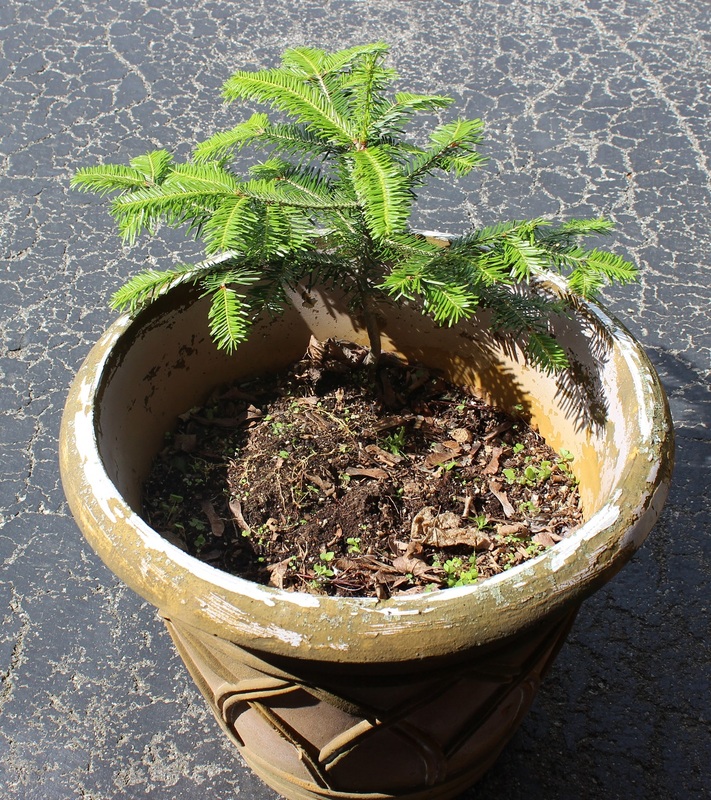 One of the last things we talked about before she left her home forever to go to hospice was that little tree in the container. She wanted me to promise her that I wouldn't let anyone yank it out and kill it. She knew she was dying, but she wanted that little tree to live on after her. We had to clear out the house last week for the sale, and one of the last things to go was the container with the tree. But now what? I don't have a place for it in my yard. I've got an Ash that will probably succumb to the Emerald Ash Borer, but I'm hoping that won't be for a few more years. Thanks to the 22,500-gallon pool that occupies way too much real estate, what's left of my backyard is the size of a postage stamp. It's surrounded by arborvitae and a few lilac bushes, but other than that nowhere for a tree that will probably grow to 30 or 40 feet one day. I'd love to hear suggestions on how to find this little Charlie Brown tree a home from anyone who may have had a similar problem.